A great SlideShare presentation from last summer by Paul Adams, a member of Google’s UX team. It’s about the differences of online and offline social networks, and why it is important to understand these differences when designing for the web (or, really, doing anything web-related these days). 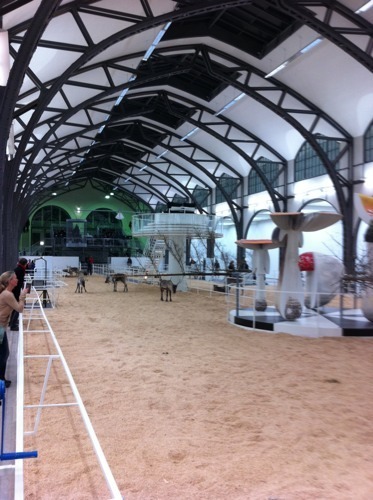 Reindeer in Berlin: The reindeer are part of a current exhibition at the museum Hamburger Bahnhof. Strongest smelling art exhibition I’ve been to but it was fun because my friends’ kids had a lot of fun watching the animals and I enjoyed watching them having fun while trying to figure out what it all means.